Meet the winner of the Golf is Great Sweepstakes and see their amazing video! Welcome to the Golf Capital of the World! Golf Holiday is the official golf association of Myrtle Beach, and our parthers have helped golfers visit the area since 1967. Remember, planning early always gives you the best shot at the lowest greens fees and securing premium tee times, so let's get this party started! Tee off your planning with a free trip estimate to share with your golf group. Why Not Golf Myrtle Beach? Myrtle Beach, South Carolina is the "Golf Capital of the World," but if you've never been (Why not?! ), you might wonder - is it really that much better than competing destinations? The simple answer is yes, and the reasons are many. 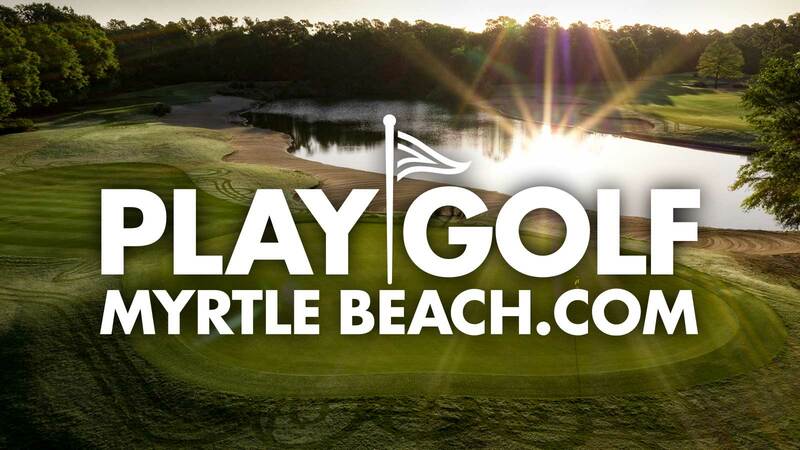 Even beyond the number of great golf courses - Golf Digest has ranked 13 area layouts among the nation's 100 Greatest Public Golf Courses and 51 have earned 4 stars or more - what makes a Myrtle Beach golf vacation the game's most popular are the diversity of its offerings. A Myrtle Beach golf trip offers value for every level of player. Whether you want to play the best courses in America or you and 11 friends are looking for a value trip, we have what you are looking for. We haven't even started talking about the beach and Myrtle Beach's famed nightlife! After your group has made the wise decision to take your next golf vacation in Myrtle Beach, South Carolina, it's time to start designing your "golf package" (i.e. tee times + accommodations booked in one transaction). With more than 100 courses to choose from, your beach golf vacation will offer a plethora of options. So how do you start planning a Myrtle Beach golf trip? The first thing every smart group leader does is find a golf package provider who will help decide the best course of action for his or her group. With a few simple questions and the golf and lodging knowledge of our expert golf directors, it won't take long to craft a beach golf vacation that your group will be talking about long after they've returned home. If you're ready to get started now, and you're the kind of person who likes options, try EZ Golf Quotes to get either five or ten free, no-obligation quotes based on your own golf vacation dates, golfers, and preferences.